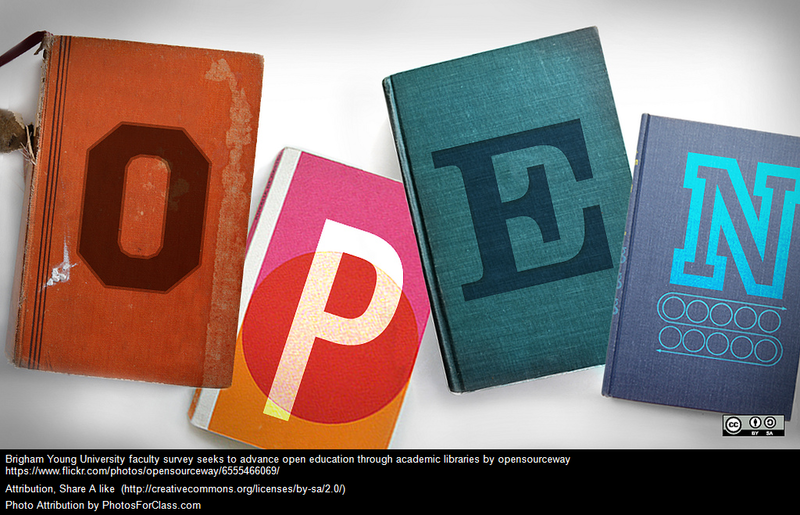 Time for our second Open Education Week post! At the recent OER Schools Conference in Leicester it was great to meet teachers who are working at the coalface – sharing their lesson plans and resources under Creative Commons licenses. 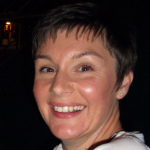 Dr Jo Badge is a class teacher and computing subject leader at a Leicester Primary school with a year 5 class. She is also a Google Certified Teacher. Prior to this she was the Web resources development officer for School of Biological Sciences, University of Leicester where she provided support for learning technologies for staff and students. In the workshop on OER resource building in the area of computing a group of teachers worked together on a lesson plan for teaching Children about Creative Commons and reusing images. Jo has now written up the lesson plan and shared it. The Open Education Working Group are delighted to be able to republish her thoughts here as part of our series for Open Education Week #openeducationwk. I have always been keen to share ideas about my teaching, and regularly tweet lesson ideas or activities. However, I haven’t gone as far as making the resources I have made available online, partly because I’ve always been wary about its licensing. Although I work in a primary school, I know that I am ultimately employed by the City Council and so the council owns the Intellectual Property Rights for any educational resources I produce in the line of my employment. As an employee I don’t have the automatic moral rights i.e. the right to be named as author on those resources. I know it isn’t something that many of us think about, but with the massive increase in access to shared resources online, it is really is an issue I believe we teachers should begin to embrace. After all, Open Education is a philosophy that is essentially at the heart of teaching, sharing and learning together, building on each other’s work and collaborating to enhance our own teaching and learning. Fortunately, Leicester City Council has Josie Fraser working for them. She is a leading proponent of Open Education and under her leadership the Council have take the pioneering step of giving permission to all its school employees to share any educational resources they create using a creative commons licence. I feel incredibly proud to be working for such a far-sighted employer and couldn’t miss the opportunity to begin to share my teaching resources more widely under a creative commons licence. I attended the Open Education Schools Conference in Leicester this January. The first event of it’s kind in the UK, was organised by Leicester City Council in partnership with De Montfort University. 92 attendees from 48 primary, secondary and specialist provision schools took part in the day, as well as representatives from five UK universities. One of the sessions I attended was a workshop by Miles Berry who encouraged us to think in a very practical way about how we could begin to teach primary school children about Creative Commons licenses and the correct re-use of other people’s work. There were some fantastic ideas generated, such as children remixing scratch scripts that had been shared online. I worked with two colleagues, Hannah Boydon and Marieke Guy to plan a half term unit of work to show children how to search for CC licensed images and then use them in a website they built, making sure that they included the correct attribution and a link back to the original image. Marieke was one of the main speakers at the event, and her write up of the day and impressions of Miles’ workshop are on her blog. The aim of this unit of work is to teach children the principles of copyright compliant searching and accurate attribution of digital content when it is re-used. Children will learn about the ownership of created content and creative commons licences. They will use search effectively to find images that can be re-used and learn to attribute them correctly. They will create a website which combines the images that they have found and combine them with text to explain how other children can search for images to re-use on their own blogs or websites. I used the lessons myself in the last half term and will be building the websites with my children in the next couple of weeks. I hope that the plans could be adapted to fit into other areas of the curriculum so that the final end product has a real purpose. My children were studying space and we wrote recounts about our visit to the National Space Centre in our English lessons, which we will then turn into websites using the images we found in the computing lessons. The final websites could be recounts, information texts or even instructions on how to search for creative commons licensed images! We did hit a few filtering issues while we were trying to search for CC licensed images. We found using Google advanced image search was reliable, but when images were from flickr, they were often blocked by our filters. Some alternatives the children used successfully were: http://www.pics4learning.com/, http://gallery.nen.gov.uk/ and for clipart https://openclipart.org/. If you are able to use Flickr, I would highly recommend using photosforclass.com which uses Flickr images that are pre-filtered to provide a pseudo-safe search. The massive advantage here is that with a quick quick, images can be downloaded with an attribution automatically added (like the photo at the top of this post). The lesson plans are shared under a CC-BY 4.0 licence on TES resources. Thanks to Leicester City Council for giving me this freedom! OER images lesson plan (2015) by Jo Badge, Rushey Mead Primary School, Hannah Boydon, Mayflower Primary school/ Leicester City Council shared under a CC-BY 4.0 licence.